Radio talk show hosts, like Robert Scott Bell, are there because of their powerful mesmerizing voice, rather than because they have a lock on the truth. Follow the money. Do NOT ever kid yourself into believing that Internet Radio Networks and Internet talk show hosts are NOT in the biz for the money. Broadcast archives downloaded from Natural News Radio are laced with advertisements, whereas talk radio archives downloaded from the Progressive Radio Network are advertisement free. Why is the Progressive Radio Network NOT obsessed with money issues, just like Natural News Radio? While the Robert Scott Bell Show might give the ADA a bad rap for promoting their dietitians over the lay public, those who belong to the real inner circle of the Natural News Network, which has a lock on Natural News Radio, are doing their best using mind control tactics to do virtually the same thing, IMHO. The only difference is that Natural News propaganda lacks the weight of the law to enforce their objectives. Nevertheless, they are still after your money. When it comes to the Natural News Network, you should be asking what are they NOT telling you? Most radio talk show hosts who are NOT promoting their own health program face the same money making problems. First, controversy sells better than sensible reporting. Next, they are in constant need of people to interview. Finally, the job of a radio talk show host is to fill dead air space. Radio shows hosts, Robert Scott Bell included, are constantly trying to build up a repeat audience. Inflammatory news stories, if NOT down right negative reporting, sells better than positive and uplifting information to the clueless public at large. Talk show hosts are interested in attracting huge audiences. They do NOT get any brownie points for attracting well-informed people. As far as they are concerned, the more easily duped their audience is the better. Our first principle of good health states: "Good personal health information does NOT go on forever; nor, does it change with each health news story." Reading, or listening, about health issues will NOT improve your personal health. Worrying about issues that are beyond your control, and going neurotic, is contrary to the principles of natural health and is just plain counter productive, as well as a total waste of your time. Unless you can, and do in fact, apply health information to your daily life, it is for all practical purposes useless noise. A steady diet of conspiracy theorists preaching gloom and doom and other politically oriented speakers will surely depress anybody over time. How about the show where Robert Scott Bell interviewed Dr. Rashid Buttar on Advanced Medicine that talked about smoking pot, Fat studies or being overweight as a protected status, among other nonsense? Do any of these topics have anything to do with improving personal health? Radio talk show hosts will interview just anybody, no matter how obvious their health swindle is. Authors are an ever-popular source of new interviewees who are there to promote their latest book. While occasionally, Robert Scott Bell will nail it with a good interview subject that is more a matter of chance than a result of a deliberate search for the truth. Thus, all radio talk show hosts, Robert Scott Bell included, are NOT going to be making money, unless they are directly trying to sell products, or advertisement on their show, or in the case of Natural News Radio by way of the Natural News Network. Nothing kills interest in a radio talk show quicker than silence. Hence, people like Robert Scott Bell will often roll over their audience like a freight train with empty platitudes about health that sound good at the moment, but are more designed to insure a loyal audience and sell product than anything else. A favorite saying is that the FDA, Big Pharma, or just about anybody in conventional medicine is deliberately trying to keep information from you. It is amazing how Internet health scam artists can devote an entire show to playing on your emotions with such trite statements. While what they are saying may be true, that does NOT mean that the product they are trying to sell you makes a lick of sense. Here is a direct Robert Scott Bell quote made during a Interview of Sayer Ji, that is clearly designed to play on people's emotions. 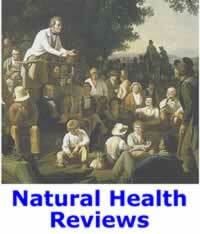 "More often than NOT the old media, they often challenge the legitimacy of natural products. They say, â€˜Oh, they are not scientific, they are NOT validated, they are NOT real.â€™ And of course, when the FDA finds that they do work they will often kind of pounce on it and say well its a new drug then, and you cannot have it. Well they won't say because you would be competing with Big Pharma. We know where their allegiances lie, while we speak the truth, and that they lie. That is the nature of what we do here on the Robert Scott Bell Show; Bring out information that you do NOT often find any where else in the media." In other words, it is a call for their flock of sheeple to blindly trust their information. Here are a few more gems from the same interview. "It is not that I need others to legitimize what we know to be legitimate ..."
"It is not enough that we have been using it for thousands of years, for millions of years ..."
Further, according to Bell scientific research "is often very dry, dull, and boring." In other words, Bells is strongly suggesting that there is something wrong with anybody actually using their brain to question the validity of anything stated on his broadcasts. It is always easier for a radio talk show host, Robert Scott Bell included, to use emotionalism to play their audience, rather than to provide credible information. Providing something useful to the public after all takes a lot of work, and generates absolutely no payola. Thanks to one guest on a Robert Scott Bell show, it has become abundantly clear to the Natural Health Perspective that empowerment on the Natural News Network is code for selling their flock of sheeple a product. All content posted on this article is satire, commentary, or is an opinion piece that is protected under our constitutional rights to Free Speech. Requests for correction may be submitted, for our consideration, by emailing this site.